← Annual Palm Sunday Spaghetti…New Location! 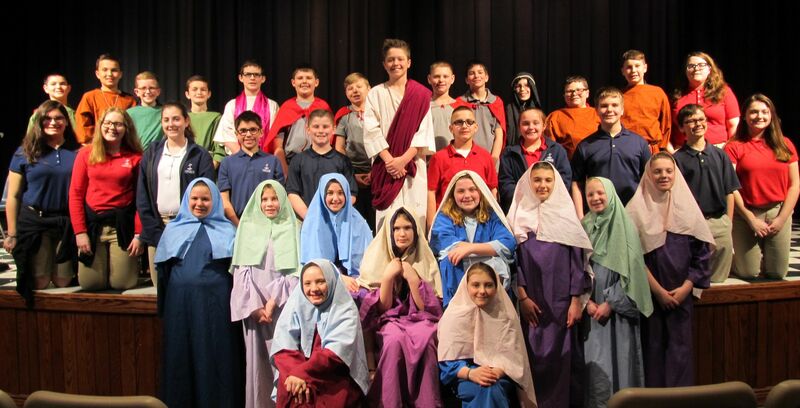 DuBois Central Catholic’s 6th graders will be presenting their annual Re-Enactment of the Stations of the Cross during Holy Week 2019. 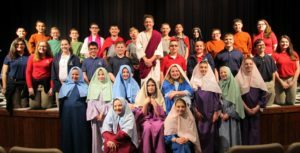 According to Principal Karrie Miller, staging a Passion Play is the final project for the students’ unit of study on the Death and Resurrection of Jesus Christ. She adds, “This re-enactment has been a Central tradition for decades.” Faculty advisors are Jodi Stewart and Lisa Blasdell. Students will be performing the play for the residents of Christ the King Manor as well as DCC elementary, middle, and high students, faculty and staff. There will be an evening performance on Wednesday, April 17, at 7 p.m. in the auditorium for family, friends, and the general public. There is no charge for any of the performances.